Monday, October 22nd, 2012 . The first 100 people to tweet this during #FailCon win a whole month of UberConference Pro FREE! Today only! The first 100 people to follow us and tweet duringFailCon win a whole month of UberConference Pro absolutely free! 1. If you don’t already (and yes, we check) Follow @UberConferenceon Twitter. You must follow @UberConference to win. Multiple entries are OK! Limit is 3 entries (so you CAN win a pro account for a friend). 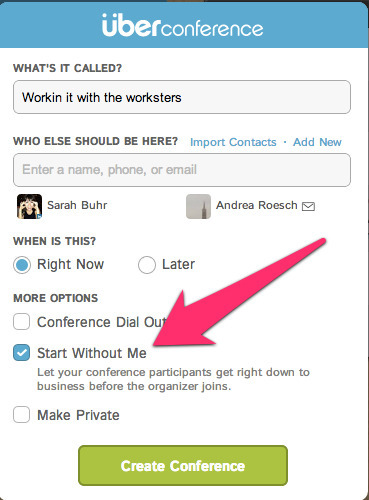 Be sure to include “Win a month of UberConference Pro! Follow @UberConference then retweet this post (be sure to include #Failcon)” in your tweets. Contest only good during the day of October 22, 2012. Only the first 100 people to follow and tweet the specified message, including the hashtag #failcon, win. UberConference will contact the winners by DM on Twitter.